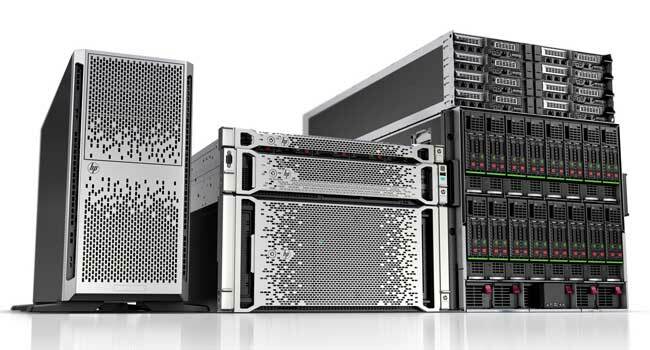 The previous series of StoreOnce appliances 2700, 2900, 4500 and 4700 existed quite some time already and were based on HPE Proliant Gen8 hardware. It was obvious that they would ‘upgrade’ to the latest Gen9 technology. This was announced now just before HPE Discover in London. 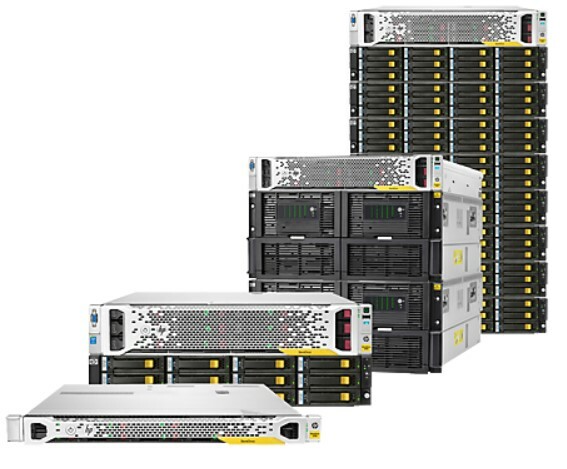 The 3520 is a new model with a usable capacity sitting in between the old 2700 and 2900 of 7,5TB up to 15,5TB. The 3540 is a 2U model like the 3520 but has a higher capacity of 15,5TB up to 31,5TB usable. 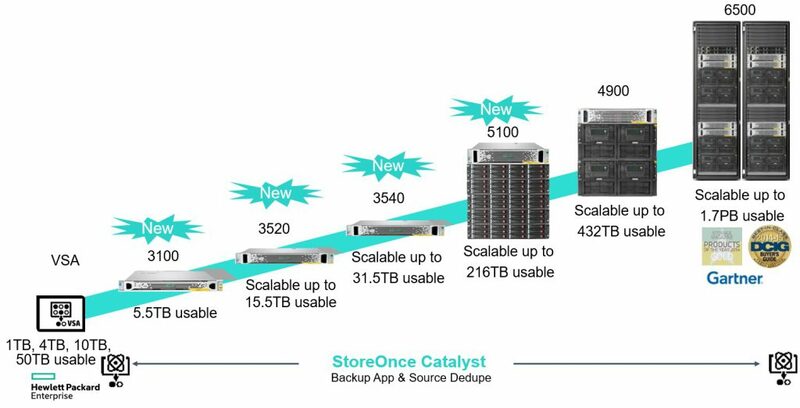 The 5100 replaces the 4000 series StoreOnce appliances and starts at 36TB and is expandable up to 216TB of usable capacity. New in the 3000 series models is that there is no additional drive cage anymore for expansion. Maximum capacity is available when you buy the box, it is limited by software. By adding a license you unlock the full capacity. Other new feature is is the flexibility of configuration. You have now the choice between 10Gb SFP+ or 10GbE-T RJ45 connectivity and 8Gb FC. 16Gb FC is coming… This is applicable in the 3520 model and above, not the base model 3100. Initial licenses for StoreOnce 3100, 3520, 3540 and 5100 pre-installed in the factory.It provides customers with a smoother out of box experience – no longer needing to download license keys or possibly losing the entitlement documentation during unpacking. Finally there is also centralized Encryption Key Management support on the new models. 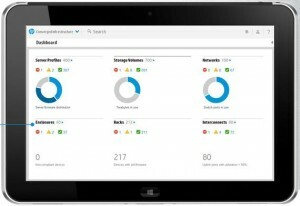 Next100% uptime for 7 years with StoreVirtual VSA? Check!